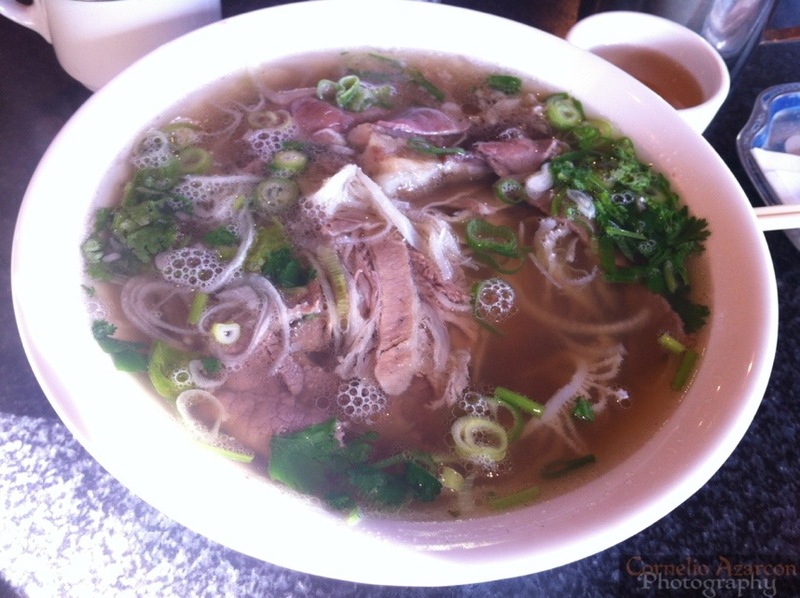 Last month, I checked out Big Bowl, a Vietnamese restaurant in Mississauga. A friend told me that it was good, so one hungry afternoon, I thought I would give it a try. 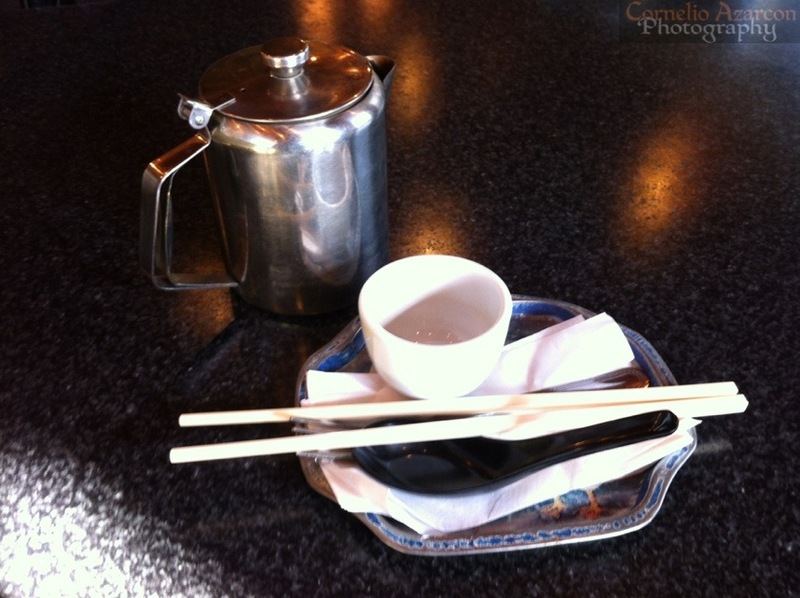 Upon taking a seat, they served a pot of green tea and brought a tray of utensils. For my beverage, I ordered the iced coffee with condensed milk ($3.25), which came in a cup with condensed milk, and coffee grounds and hot water in a cool contraption sitting on top of the cup. 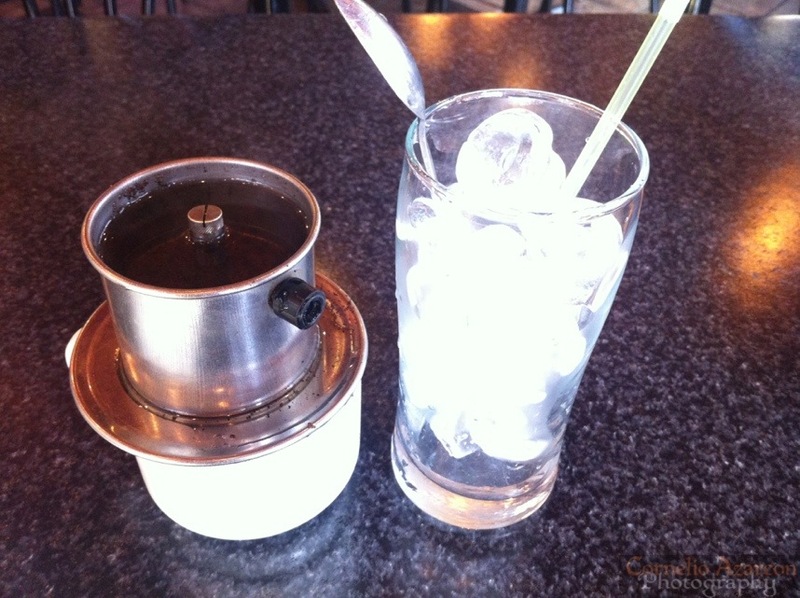 It took about 15 minutes for the water to pass through the contraption and for coffee to transfer to the cup. I gave the mixture a stir and poured it into the glass with ice cubes. 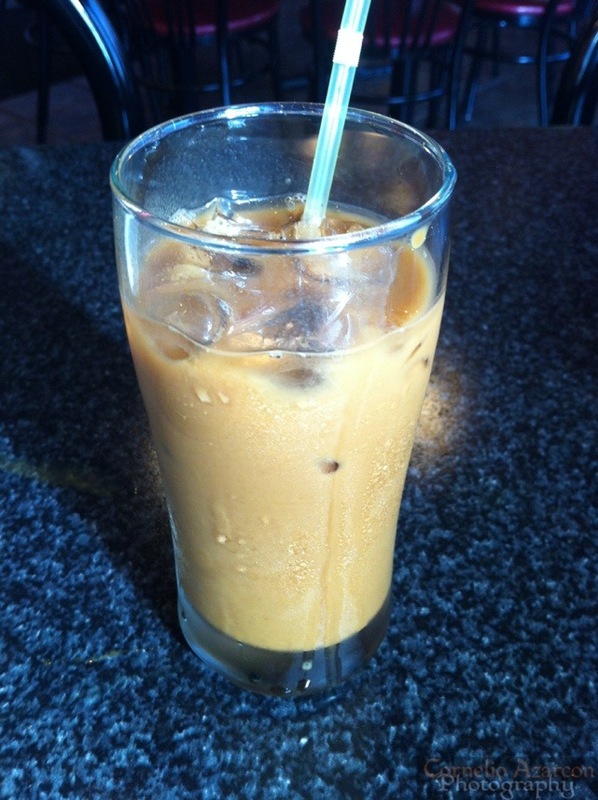 It was a refreshing drink, and the coffee had a nice bold flavour to it. 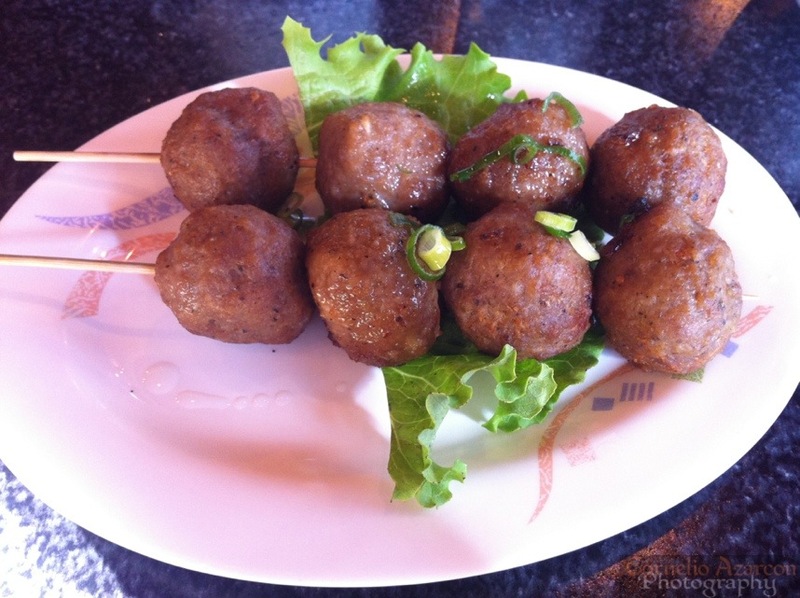 I ordered the grilled pork balls ($4.00) as an appetizer. It was a good dish, nice flavour, especially dipped in sauce. It was quite enjoyable. Next came my order of #22 ($6.00 – Large), which was an eye of round steak, well-done brisket, soft tendon, and bible tripe with rice noodle in soup. The broth was packed with flavour, and the dish was very hearty. Overall an enjoyable meal. Will return again some time.